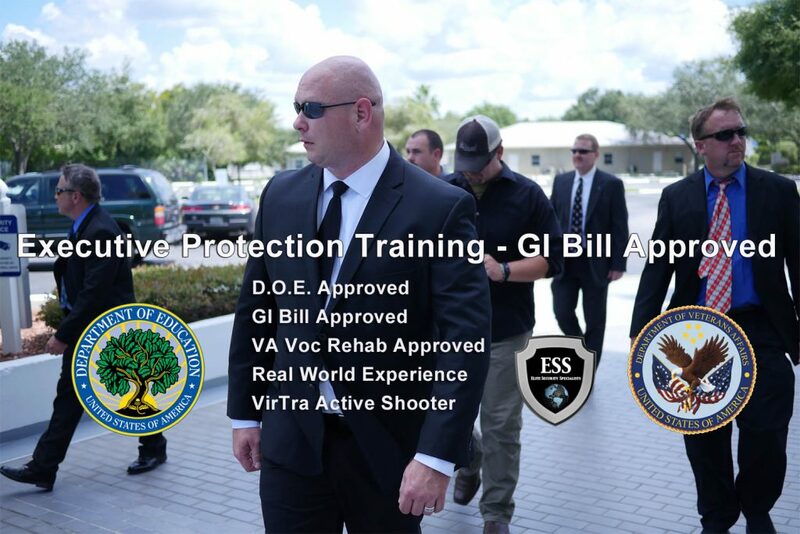 Executive Protection Training GI Bill Approved – D.O.E. Approved – Real World Experience in Over 60 Countries – 28 Day Executive Protection Training. There are just a very few Executive Protection Training Schools that are approved by The Veterans Administration to accept GI Bill Benefits. And there a just a few Executive Protection Training Schools that are approved and certified by the Department of Education. Lastly, there are only a very few that are approved for VA Vocational Rehabilitation. And this much we know. Now does this seem like a good place for Executive Protection Training? ESS Global is the only Executive Protection Training School taking advantage of 1 of only 2 VirTRA Simulators in the country. ESS is the only school offering active shooter training as part of our Bodyguard/Executive Protection training via the VirTra Simulator. Here in Tampa Florida we have 1 of only 2 pubic installations in the entire country. It’s a close to real as you’ll ever get. 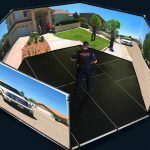 And ESS Global is currently the only Executive Protection Training in the country utilizing this state of the art tool. Lastly, you’ll want to choose a school that is active in the protection industry. ESS Global uses proven methodology, derived from protective security operations and security consulting in over 60 countries around the world. These operations have been conducted in threat environments ranging from “negligible” to “imminent”. In layman’s terms…Every day, we practice what we teach. Because we are very active in the protection industry. And our next 28 Day Executive Protection Course is fast approaching. Posted in ESS Global Corp, news, school, training, updates and tagged bodyguard school, close protection training, D.O.E. Certified, ESS Global Corp, executive protection training, Florida, gi bill approved bodyguard training, gi bill approved close protection training, GI bill approved executive protection training, Tampa, va voc rehab tampa.